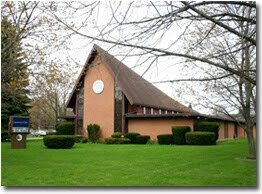 As I drove to the Stratford Community of Christ last Sunday morning, my mind wandered to the fall of 1962 and my earliest experience with this congregation. In those days, the church met in a smaller, older building, I believe on the corner of Brunswick and Waterloo. Many will no doubt have pictures of the old building, but unfortunately I do not have even one to share with you here. I do not know when the conversation started about building a new church. My parents would have been there, but they are no longer around for me to ask. We can be certain, however, that there was not universal agreement that building a new church was a good idea. Some would have been in favour, perhaps arguing that the congregation was outgrowing thier facility. There would also have been those who thought the old building was good enough. Equally certain is that there would have been others who thought they should not spend the money for a new building; it would just be too expensive. We can be quite sure of this because the same debate raged in various cities and towns during the expansive years of the ‘60s and ‘70s. In some cases the “build a new church” folks prevailed, and in others the “stay put” folks won out. It is interesting now, some forty plus years later, to compare the vitality of the congregations that chose those two different paths. In any event, Stratford congregation chose the future and built a lovely new church on what was then almost the edge of town. It was a good decision. As I sat in the congregation last Sunday morning, I thought about how forward thinking and visionary that decision had proven to be. The congregation meets in an attractive, comfortable and accessible facility that is well positioned for years to come. I had several reasons for being in Stratford last Sunday morning, but the dedication of the new piano was not one of them; in fact, I didn’t even know there was a new piano. 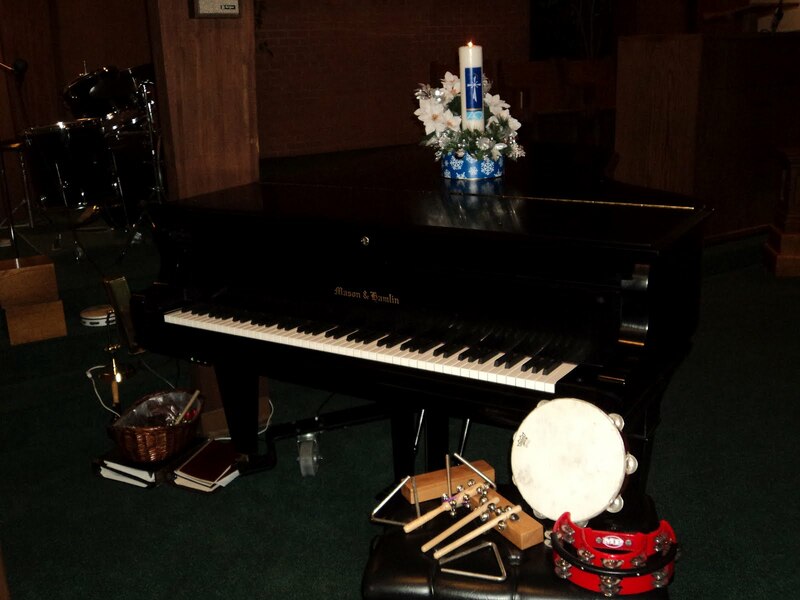 I soon learned, however, that when my cousin Keith Williamson passed away about a year ago, he left the congregation a bequest, and they had decided to use the money for a lovely new grand piano. As the service progressed, at least 13 people took their turn playing this fine new instrument; children, youth and adults. I was astounded by the number of musicians who were there!Experience levels varied from those who were early in their learning all the way to accomplished, professional musicians, but I cannot tell you which was the more enjoyable. All played well. It happens that I enjoy listening to music much more than I enjoy singing, so this was my kind of service. 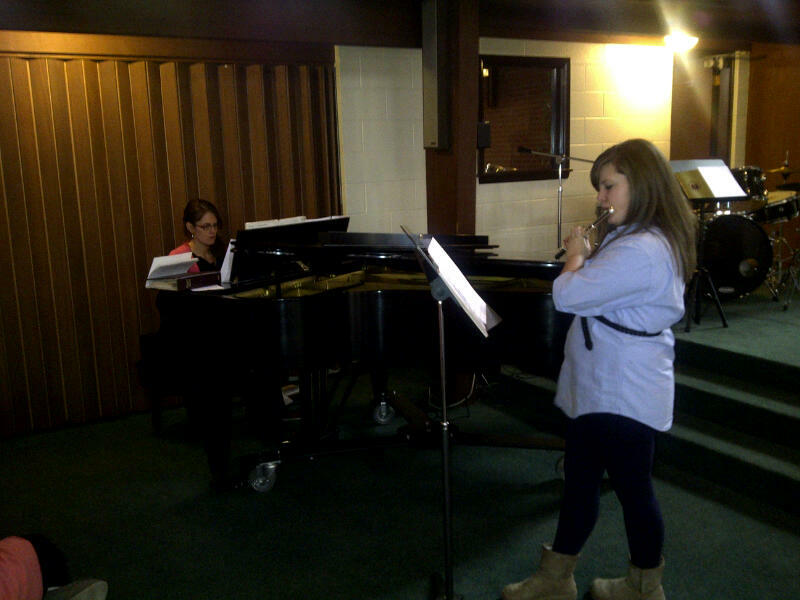 The worship was full of music played on lovely instruments; the piano teamed with flute, saxophone and voice. There was even a humorous skit that involved the piano. Oh, there were hymns to sing, but more often we were afforded the opportunity just to listen and reflect. Perhaps it was during that reflection that the thought came to me that Stratford congregation was once again positioning itself well for the future. They have acquired a lovely piano that young and old musicians will enjoy playing for years to come. In this they have proven themselves to be just as visionary as the generations that preceded them. Good job, Stratford. You are indeed a church with a future.